The newest edition to the Ascension deck-building game has arrived. 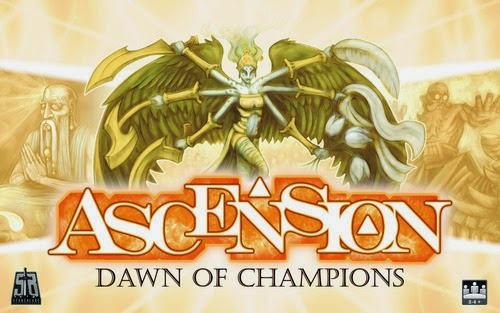 Ascension - Dawn Of Champions is playable as a stand-alone game for 1 to 4 players, or can be combined with other Ascension games to play with up to 6 players. In Dawn of Champions, players take on the role of Champions of each of the 4 factions - Dhartha, Nairi, Sadranis, and Kor. Through acquiring or defeating cards that share a faction with their champion, players build reputation, unlocking special cards and abilities as the game progresses. Dawn of Champions also introduces the new Rally mechanic, which allows players a chance to acquire or defeat additional Heroes and Monsters of the same faction, bolstering their ranks as long as they remain loyal to their faction's cause. 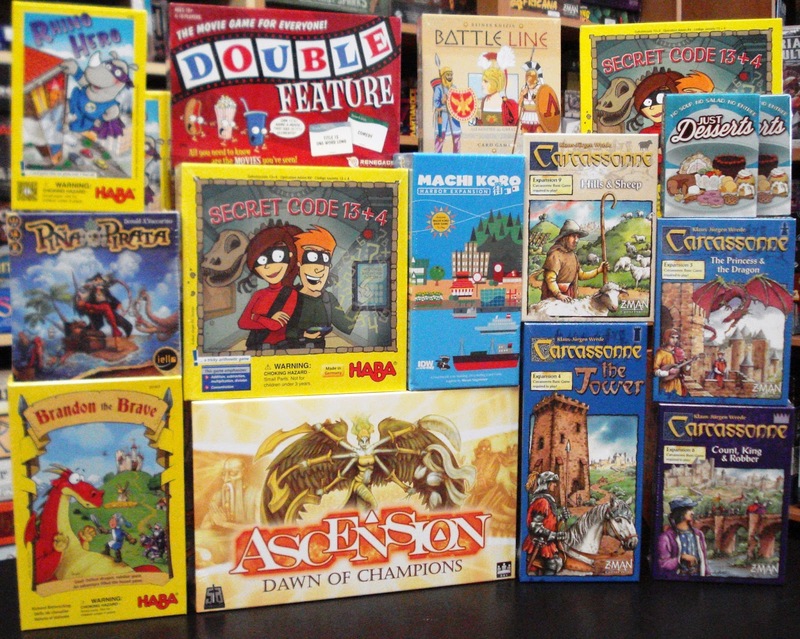 All you need to know are the movies you've seen in this new game from Renegade Game Studios. 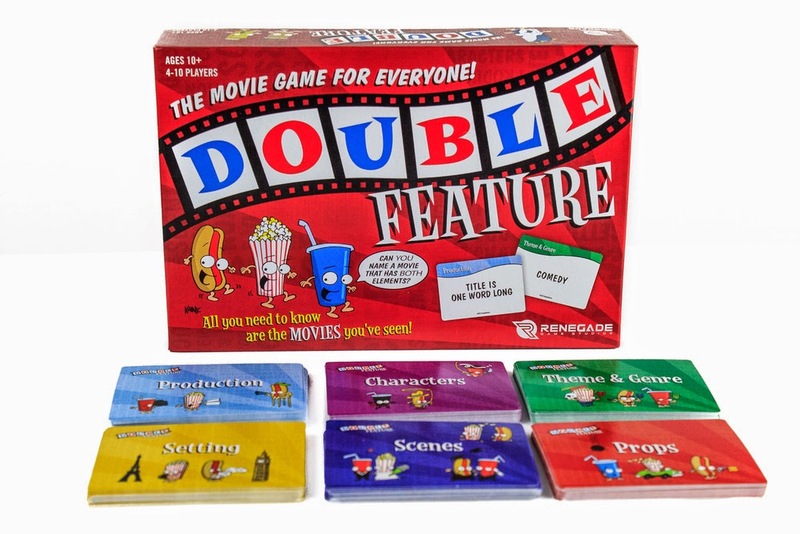 This is a fast-paced party game for movie buffs. Players compete to quickly name a movie that links elements from 2 different category cards. Every card contains a movie element from one of 7 different categories - Theme/ Genre, Location, Character, Scene, Setting, or Production. An example would be; "Black & White" from a Production category card & "New York" from a Setting category card, the movies King Kong or Manhattan would be correct. Earn points by being the first to name a movie that meets the category on both of the drawn cards. 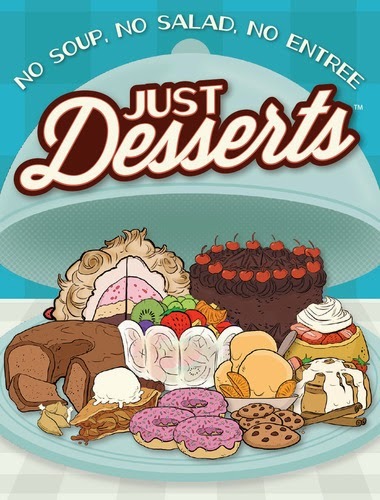 New in from Looney Labs is Just Desserts, a deliciously sweet card game. Fun for the whole family. Players are competing to be the first to claim 3 Guest cards of the same suit or to get a Guest card from each of the 5 suits. The game consists of two decks of cards - a Guest deck and a Dessert deck. Basic game play begins with 3 cards from the Guest deck placed face-up in the center of the table. Each Guest card will indicate the types of sweets that particular guest likes and possibly types they don't like along with a stated favorite. Throughout the game, players will draw Dessert cards into their hand to collect the right combination of sweets to satisfy and claim the face-up Guest cards. A new Guest card will be drawn and added to the unclaimed area in the center of the table after each player's turn. After you have mastered the basic rules, you can add one of three additional options - Poaching & Blocking, Opening a Buffet, and Surprise Parties. 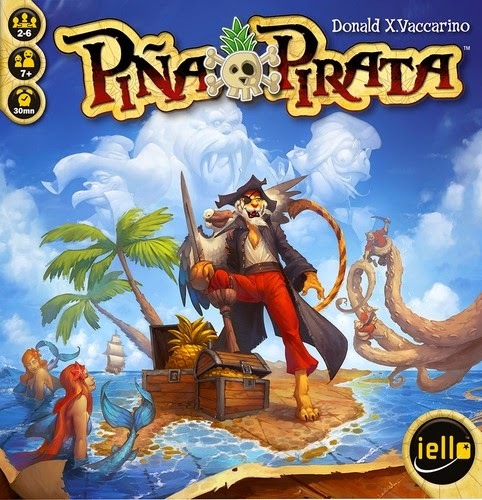 Another family game in this week is Piña Pirata from game designer Donald Vaccarino, best known for such games as the popular deck-building game Dominion, Kingdom Builder, Temporum, Monster Factory and more. In Piña Pirata, you pit your crew members against those of the other players in a series of rounds. Your goal each round is to be the first player to end his turn with an empty hand. The winner of each round gets a piece of the treasure map. 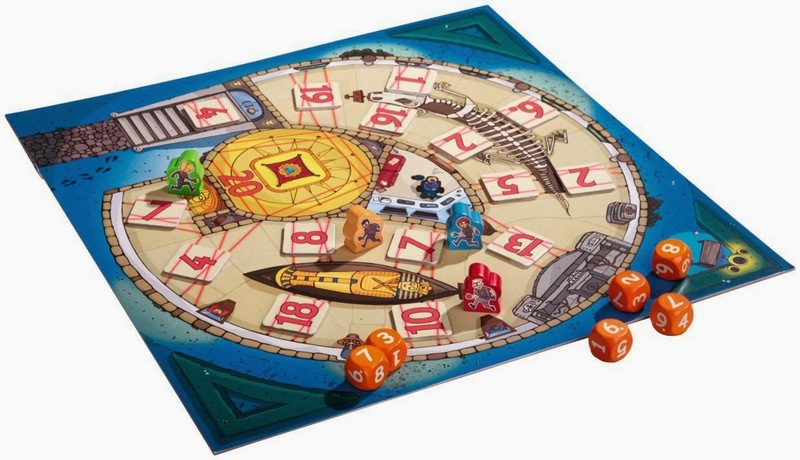 Adventure tiles bring about rule changes on leach leg of the journey for ever more twists. Make the most of your crew members, adjust to new rules, and sail away on the quest for the Gold Pineapple. 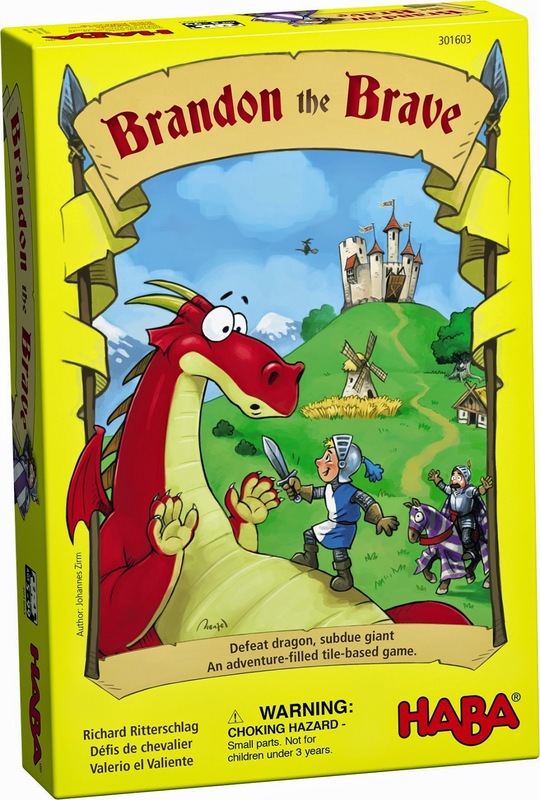 Brandon the Brave is an adventure filled, tile base game designed for kids 5 and older. Your goal as a knight is to defeat the dragon and subdue the giant. To become a knight, all knaves first must master regal strategy placement tasks and prove that they have good intuition. Be the first to place all of your square knight's task cards on the triangular field tiles. If you land on a field tile with the wooden knight you'll earn an extra turn. 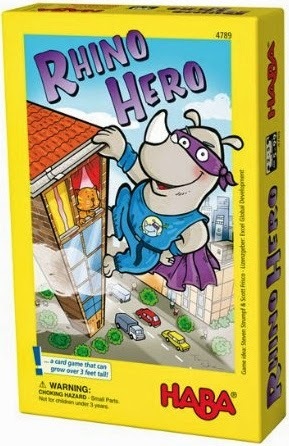 Rhino Hero is a heroic 3D-stacking game designed for kids 5 and older. This super hero from the animal world fearlessly scales the highest buildings houses looking for burglars and rogues. In this game players are constructing a multi-story building of cards from which the Rhino Hero figurine will climb. On each turn players add walls and roofs. Each roof card will indicate where the next player must place walls on the card. Additionally, some roof cards will have players performing special actions. Be the 1st player to use all of your roof cards and win. However, if the building falls down, the player who caused the collapse loses, adn the player with the fewest roof cards in their hand wins. 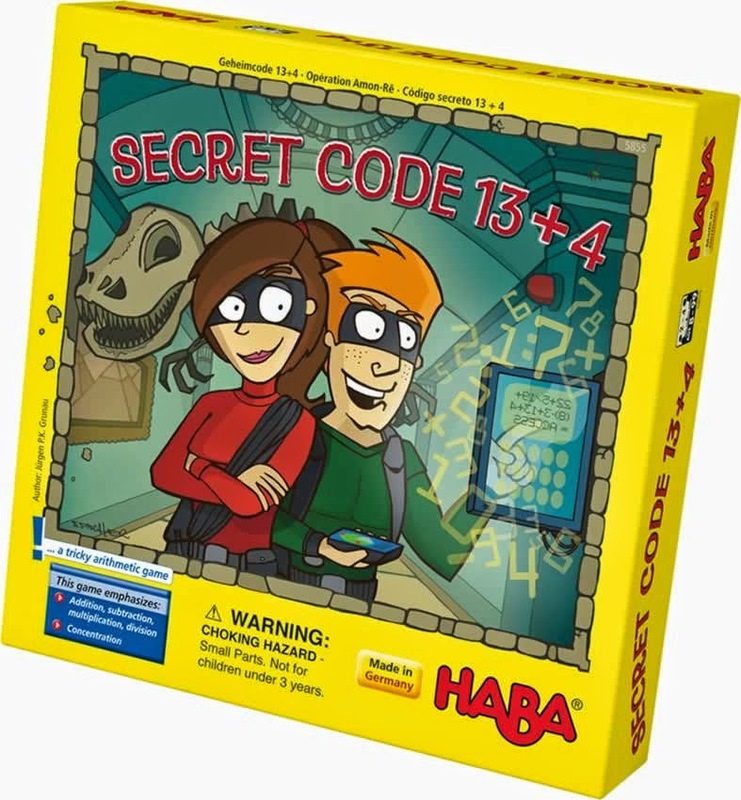 Secret Code 13+4 a tricky arithmetic game designed for kids 8 and older. For months the agents have been preparing for this evening. Tonight is the night the secret mission “Amun Re” begins. The team, made up of four cunning secret agents, breaks into the museum and thanks to their precise calculations, manages to crack the tricky security codes. Be it calculating addition or subtraction, multiplication or division, the numbers on the dice have to be combined so that they coincide with the code numbers. Who will be the fi rst to overcome all the security’s laser barriers to get hold of the precious mask of Amun Re? Arriving in this week is Star Realms: Gambit Set, the latest expansion pack for the deck-building game Star Realms, a 2-player deck-building card game. Star Realms is a spaceship combat 2-player deck-building card game. You will play powerful ships, destroy enemy bases and blast your opponent directly on your way to victory. Just when your enemy thinks the battle is in their grasp, one final gambit can turn agonizing defeat into glorious victory. The Gambit Set expansion pack adds 13 Gambit cards that give players special abilities they can unleash, 3 Nerc Cruiser Ship cards that can act as an ally for any faction, 2 Solo Challenge cards allowing for solitaire play, and 2 Cooperative Challenge cards where you can team up with your friends to defeat the Pirates of the Dark Star or the deadly Nemesis Beast.